Murphy's Mercantile, known as the Merc, has been a staple in Jewel Bay for over 100 years. To celebrate their recent makeover as a gourmet food market, Erin has organized a town festival, Festa di Pasta, featuring the culinary goods of Jewel Bay's finest - including her mother Fresca's delicious Italian specialties. But Erin's sweet success is soured when the shop's former manager, Claudette, is found dead behind the Merc on the Festa's opening night. With rival chef James Angelo stirring up rumors that Fresca's sauce recipes were stolen from Claudette, Erin's mother is under close scrutiny. Now Erin will have to hunt down some new suspects, or both her family and her store might wind up in hot water. 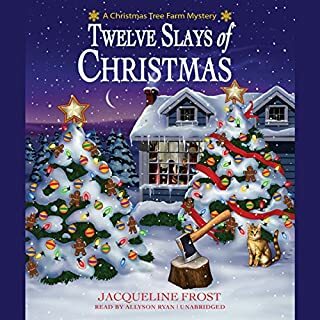 This is an entertaining cozy mystery. The characters and plot are engaging and realistic. I was drawn into the plot quickly and stayed entertained until the end. The only thing I didn't like was that there were a lot of characters introduced. Rebecca Mitchell did a great job as narrator. I look forward to the next book. 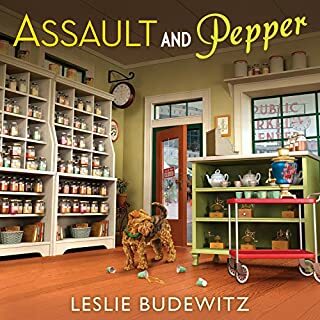 Leslie Budewitz has crafted a great installment to start off the Food Lovers’ Village Mystery Series. It’s full of laughs and characters who seem to grow and become your friends. 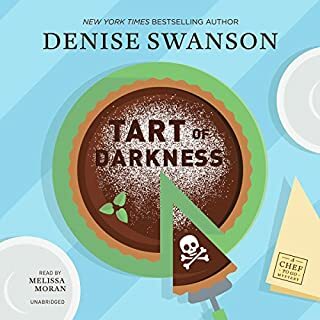 I highly recommend this book/audiobook to cozy mystery fans. My first issue was that I didn’t particularly connect with the novel’s characters. I especially found Erin to be slightly narcissistic and pretentious; seemingly concerned more about the murder's effect on her business than on the actual victim. As a reader, it struck me the wrong way. 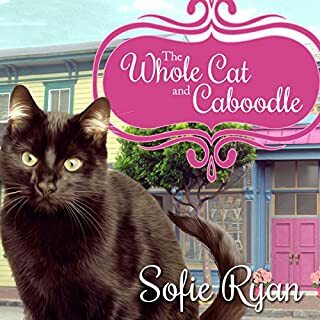 As for the actual plot, I felt that there wasn't a lot of action or investigation; a lot of the mystery aspect of the book appeared to take place inside Erin's head which was disappointing. However, with that in mind, once the story did pick up in the last quarter and the ball started rolling, I did find that I started to enjoy myself a bit. 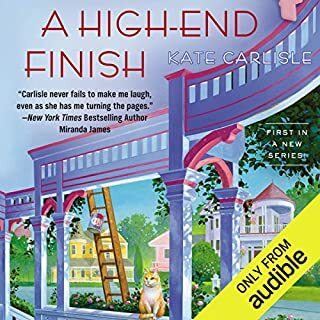 Additionally, in terms of the audiobook edition, the narration was average; nothing special, but was pleasant enough to listen to for the entirety of the novel. 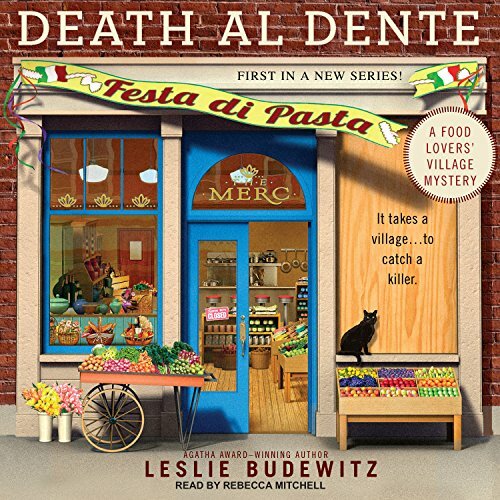 Overall, I was somewhat let down by Death Al Dente, but I'm willing to give the series a second chance by reading/listening to the next book, Crime Rib. It was a fun little story. 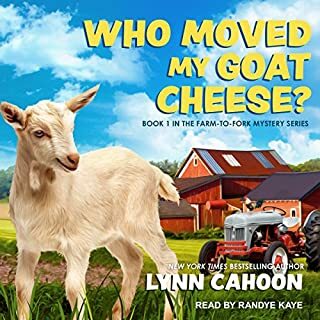 I've recently gotten into audiobooks and like the "food" mysteries. 1) When the narrator speaks, she uses the same tone for all levels of excitement. This was rather odd when the main character was supposed to be yelling and she sounded monotone. 2) It was difficult at times to tell when the main character was participating in conversation or going through an internal monologue. 3) While I do know the title references a food term, the excessive food descriptions did not add must to the story. It got tiresome after a while, especially when the description was used just for the food a character was eating at that given time.